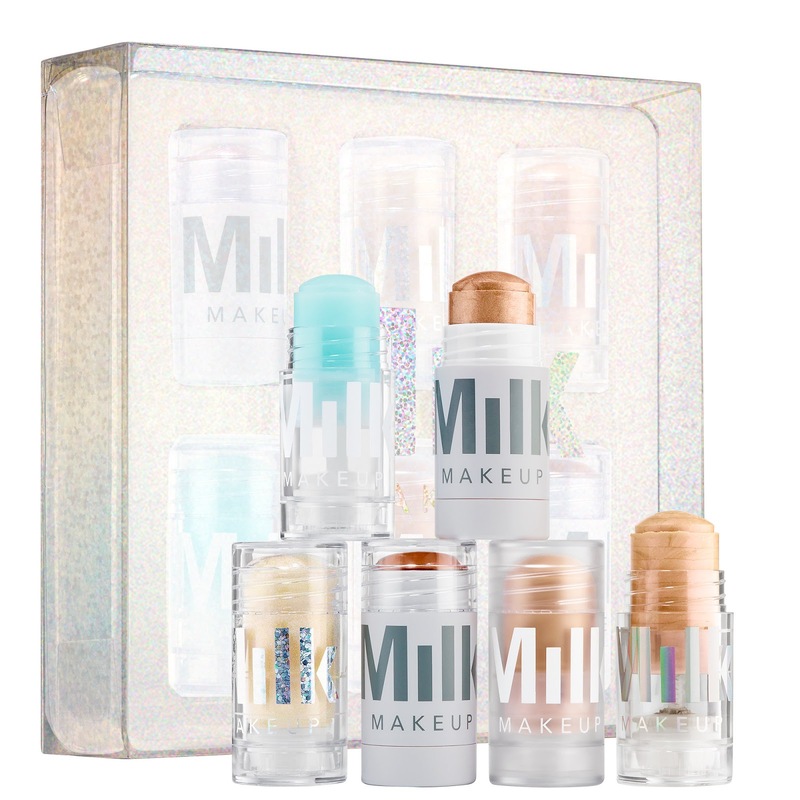 Milk Makeup has now launched their Holiday collection for the 2017! I will continue to update this post, as well as other holiday collections, throughout the season if new sets become available. 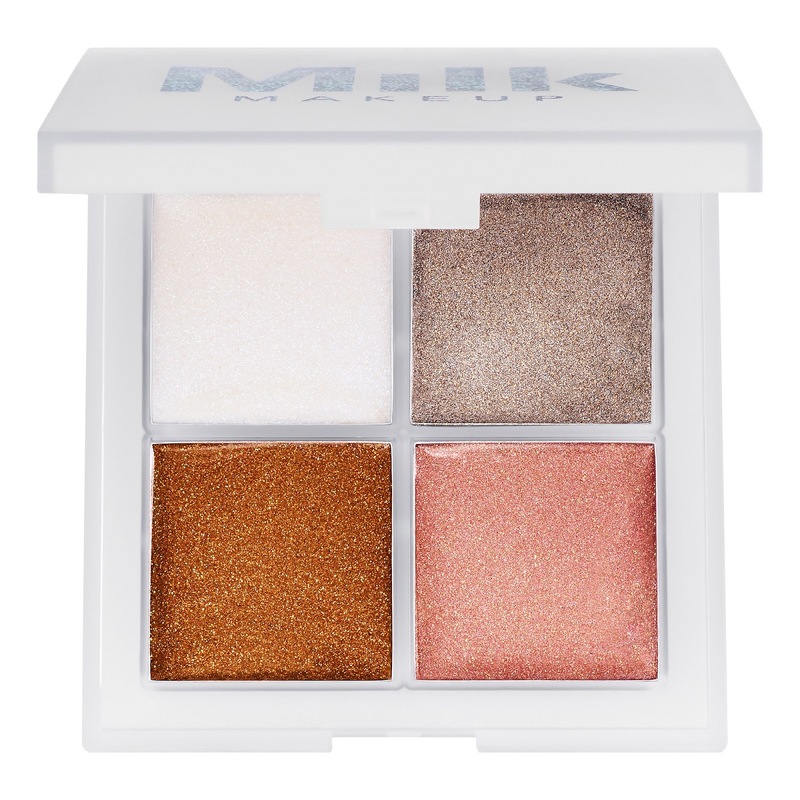 "Put some outer space on your face with these holographic highlighters, packed with meteorite powder and twilight pearls for intense payoff in a single swipe. 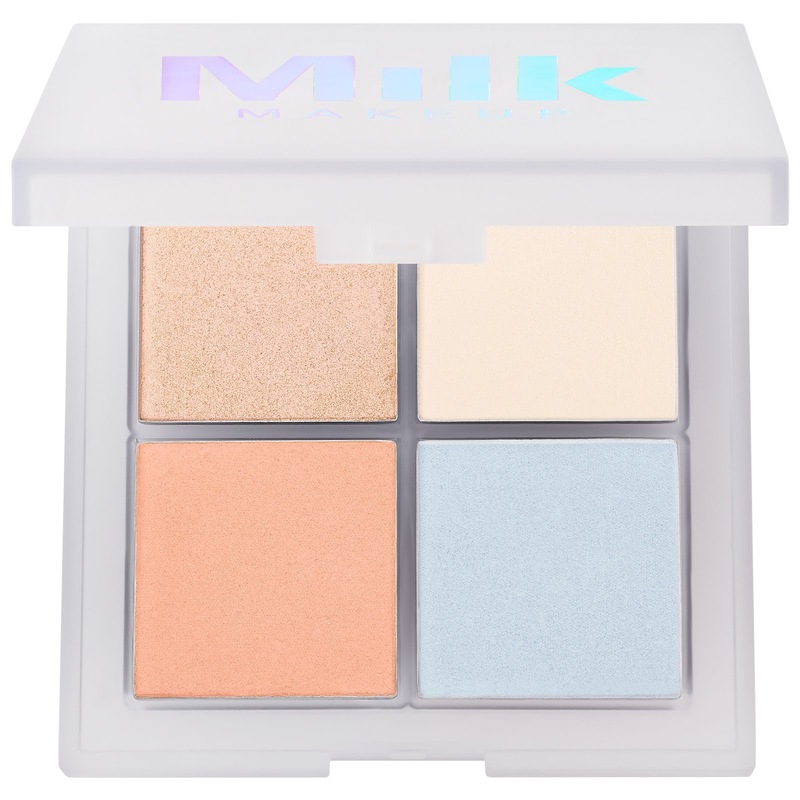 The talc-free formula features avocado oil, coconut oil, and mango butter to smoothly glide onto eyes as eyeshadow, cheekbones as a highlighter, or lips and body for a hydrating and prismatic sheen." 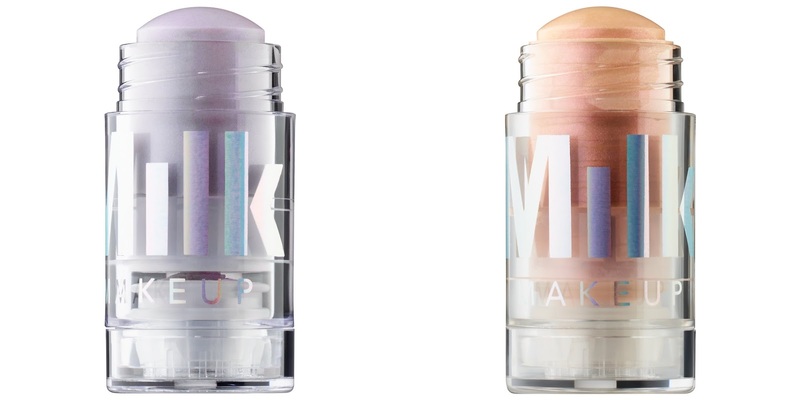 "A bestselling holographic highlighter stick that’s packed with meteorite powder for an otherworldly glow. Loaded with meteorite powder and twilight-like pearls, this multi-use highlighter stick leaves an iridescent sheen wherever it's applied. With nourishing ingredients like mango butter, coconut oil, and avocado oil, Holographic Stick hydrates skin for a dewy, galactic glow. Its iridescent sheen complements all skintones, and can be applied to the eyes, cheeks, lips, and body. Formulated with Milk Melt Technology, this vegan Holographic Stick melts into skin on contact and blends in seamlessly. The minis contain 0.75 oz. less than the original full-size and $7 USD / $8.50 CAD worth of product." "Take the glossy lid look to the next level for the holiday party season with these metallic shimmer glazes. 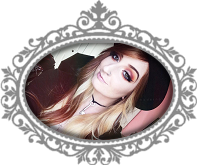 Each neutral shade can be worn on its own for dimensional color, or layered to light up cheekbones, eyes, and lips alike." "Stick it to dull skin with this set of bestselling illuminating, bronzing, and skin-perfecting sticks. Perfect for gifting or traveling, The A Team includes mini versions of Blur Stick to prime skin and blur pores, Highlighter in Lit for a dewy, everyday glow, Matte Bronzer in Baked for summer skin all year long, Holographic Stick in Mars for a golden peach highlight, Cooling Water to de-puff eyes and energize skin, and special-edition Glitter Stick for glitter everywhere." 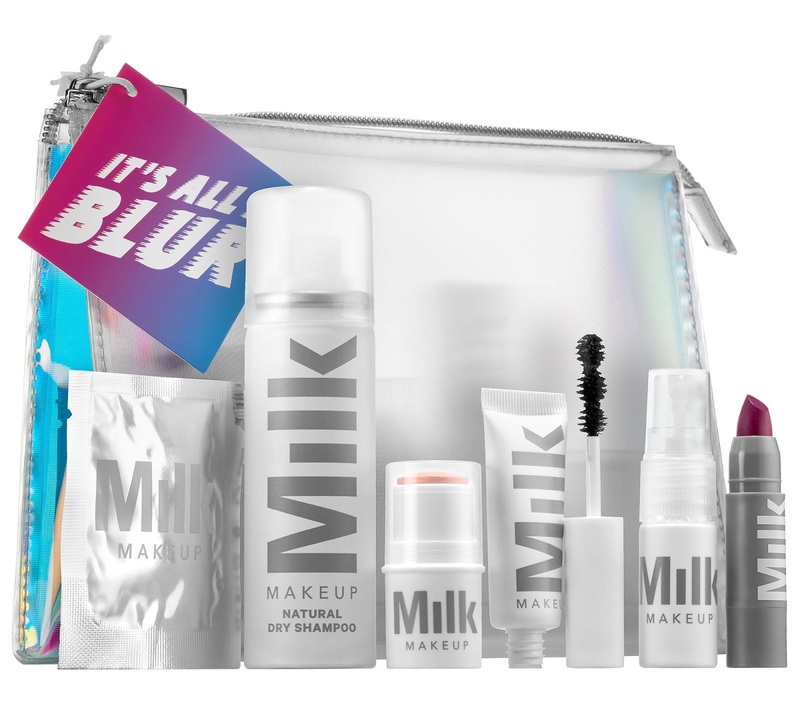 "A perfect mix of product for high-impact beauty on the go stashed in Milk’s blur makeup bag. Natural Dry Shampoo features a refreshing formula that absorbs excess oil to extend the life of a blow-dry while white tea scent revives. Face Mist offers rice and ginger waters to revitalize and tone skin, while botanical actives calm and nourish. The Mini Ubame Mascara has a lash-loving formula that won’t flake and stays put all day. A signature blend of Ubame oak charcoal and saphirre dust bring added dimension and color depth. Mini Lip Color in Grrl is a dark plum creamy lip color that provides full coverage, and comfortable wear that lasts from desk to dawn. Mini Highlighter is a luminous cream stick that instantly creates a radiant glow. 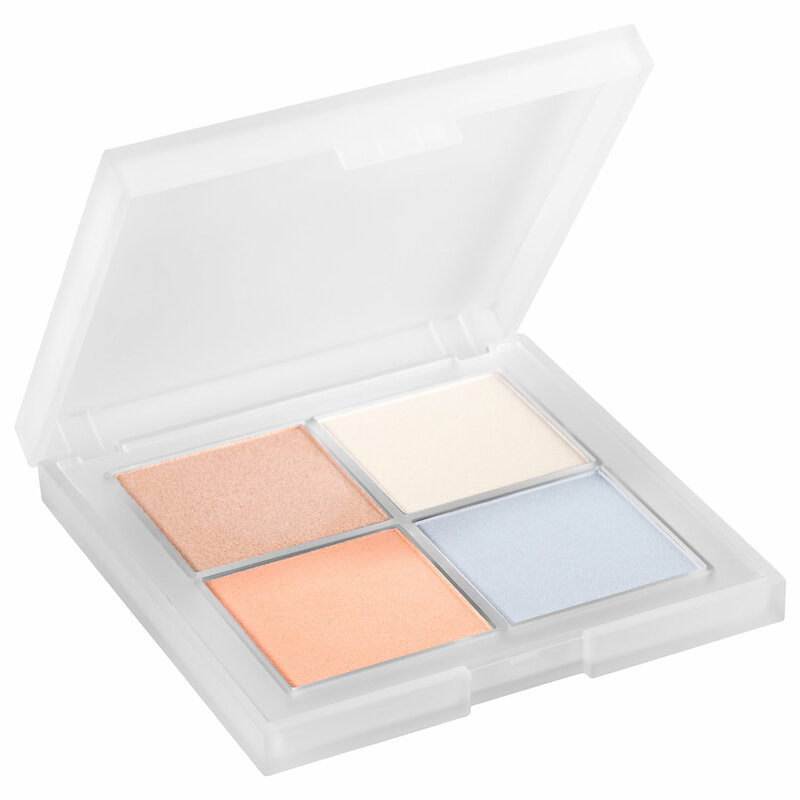 The universally flattering shade brightens every skin tone. Micellar Face Wipes are biodegradable portable single wipes to cleanse the skin using micellar action to entrap and lift impurities and sweep away makeup and debris. $64 USD Value."